Can my students play Kodable at home? My students want to play on their school profile at home, where do I find their Student Codes? 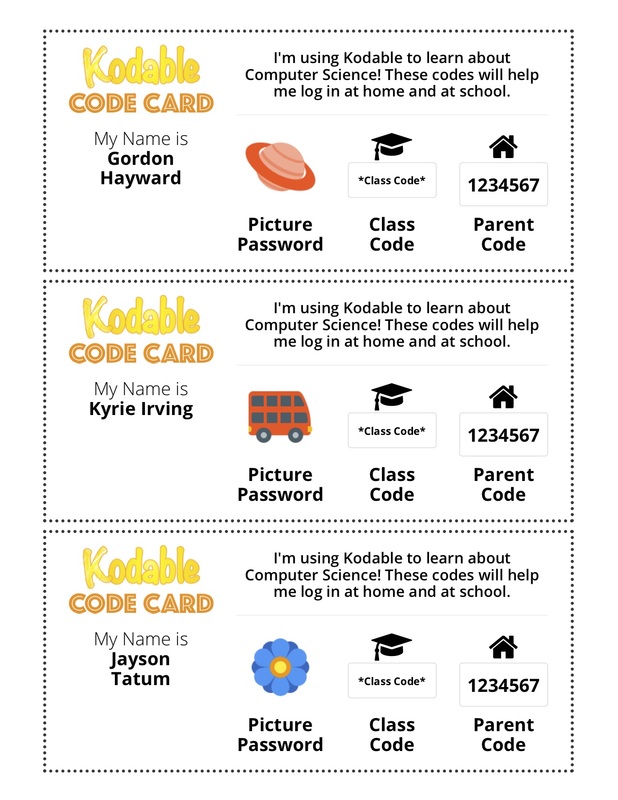 In the past, students could continue to play Kodable at home using Student Codes. We no longer have student codes, but students can still code at home with their Class Code used at school or extend learning with the Parent Code. Both codes are available on the Code Cards downloadable on your teacher dashboard. Learn more about Code Cards and how to print by student, class, or entire school.